At the Dental Group of East Brunswick, we are dedicated to helping you get your smile back. Whether you need something as simple as teeth cleaning or as complicated as a full dental restoration, we are here to offer you the helping hand that you need. Our practice is built around several important ideals: offering people the best possible dental care, alleviating their stress surrounding the dentist, and doing everything we can to make them happy with the results of their procedures. In order to make sure that we live up to these ideals, we take the time to ensure that everything we do falls in line with these principles. On this page, we will discuss all of the dental implants that are available to you at the Dental Group of East Brunswick. We will cover these topics in-depth so that you can be as well-informed as possible before you even step foot in our dental clinic. If you need more information, or you’d like to discuss your treatment options, please feel free to contact our office. Simply put, dental implants are any appliance that is anchored in place with titanium rods that are attached to your jawbone. They can be used to replace individual teeth or a full bridge, and can have replacement teeth mounted to them permanently or as removable appliances. Dentures are designed to be removable, and instead of resting inside of your jaw like real teeth, are temporarily fasted to your gums using dental adhesive. While they have helped many people smile and enjoy more foods after they have lost their teeth, they are very much an outdated technology. Because dentures sit on top of your gums, they rarely feel right. Most people have a lot of trouble learning how to effectively chew and speak with dentures in, and they can leave your mouth feeling very sore. Adhering them inside your mouth is a struggle that never really goes away, and you’ll probably have to deal with dentures that slip and detach themselves while you’re talking or trying to eat. In addition to being uncomfortable and difficult to adjust to, dentures can create a host of problems inside your mouth that can feel like more trouble than they are worth. If you fail to clean them thoroughly enough, food particles can begin to rot, causing bad breath and a terrible taste in your mouth. If you wear your dentures for a long time, food can get trapped between your dentures and your gums, causing irritation, sores, and bad breath. Permanent dentures, a form of dental implant, are attached directly to the bone of your jaw thanks to implanted titanium rods. Not only do permanent dentures look much better than traditional dentures, they also feel better because they sit in your mouth in what is essentially the same way as your real teeth did. The permanent dentures are permanently affixed to the titanium rods by your dentist so you’ll never have to deal with slipping, frustrating dentures! 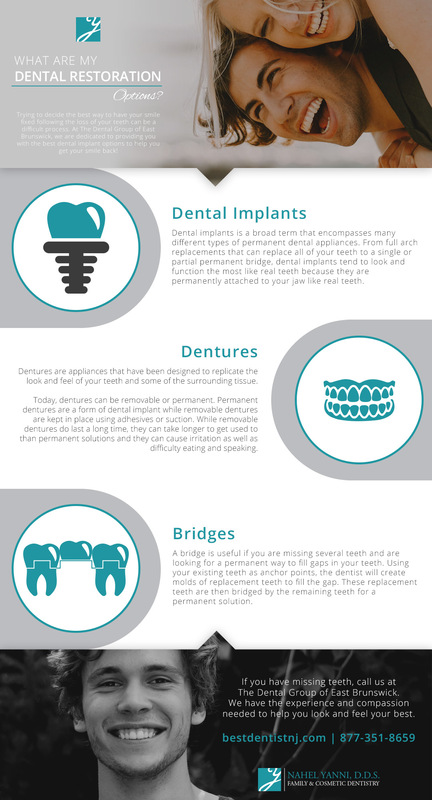 If you’re interested in learning more about permanent dentures and how they can improve your life, please give us a call today. Dr. Nahel Yanni is dedicated to making your teeth look great so you can smile more! If you have dental anxiety, our office offers a number of sedation dentistry options to help you handle your appointment. If you have lost all of your teeth due to an accident, age, or for any other reason, you might feel like you are limited to wearing uncomfortable dentures. Luckily, this isn’t the case any longer. Thanks to the specialized process of creating full arch replacements, the dentist here at the Dental Group of East Brunswick can restore your smile to its former glory while also helping you to live a normal life. A full arch replacement makes it possible to enjoy all of your favorite foods without having to deal with uncomfortable dentures, and these dental implants will also help stop the bone loss that comes with having lost all of your teeth. The dentist will begin the process by examining your mouth to ensure that you are a candidate for a replacement. If you are, the dentist will start the process by surgically implanting anchors into your jaw that will take the place of missing roots while also providing a place to attach the implants. This part of the process may not be completed all at once, especially if you need to have both your top and bottom teeth replaced. However, the dentist will attach temporary teeth to help you eat while you permanent teeth are designed and all of the anchors are implanted. Over the course of several visits, the dentist will attach your new permanent teeth that have been designed to perfectly fit inside your mouth. These teeth are made from extremely strong materials to be durable and they also look wonderful. Once all of your new teeth have been implanted, you’ll be able to eat and speak normally. Our patients who have undergone full arch replacements are always incredibly happy with the results because they feel like we have given them a new lease on life. Contact Dr. Nahel Yanni’s dental office in East Brunswick today if you are interested in learning more about a full arch replacement. Trying to decide the best way to have your smile fixed following the loss of your teeth can be a difficult process. In addition to worrying about the cost of these procedures, you might also be worried about pain, and whether or not you will find a dentist who has the best training. 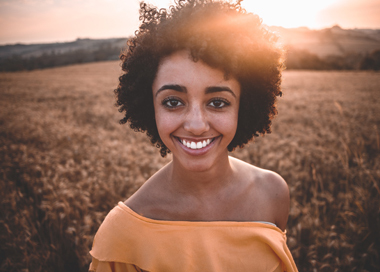 At The Dental Group of East Brunswick, we are dedicated to providing you with the best dental implant options to help you get your smile back! At our office, your happiness and health always come first. We are always happy to sit down and listen to your needs and wants in regards to your new dental implants and restorations because we want you to receive what is most important to you. We have the most up-to-date training and we use only the highest-quality materials and the most reliable methods to ensure that your dental implants look and feel great. Contact us today to learn more about our dentist or to schedule an appointment. Dental implants is a broad term that encompasses many different types of permanent dental appliances. From full arch replacements that can replace all of your teeth to a single or partial permanent bridge, dental implants tend to look and function the most like real teeth because they are permanently attached to your jaw like real teeth. Dentures are appliances that have been designed to replicate the look and feel of your teeth and some of the surrounding tissue. Today, dentures can be removable or permanent. Permanent dentures are a form of dental implant while removable dentures are kept in place using adhesives or suction. While removable dentures do last a long time, they can take longer to get used to than permanent solutions and they can cause irritation as well as difficulty eating and speaking. A bridge is useful if you are missing several teeth and are looking for a permanent way to fill gaps in your teeth. Using your existing teeth as anchor points, the dentist will create molds of replacement teeth to fill the gap. These replacement teeth are then bridged by the remaining teeth for a permanent solution. If you have missing teeth, call The Dental Group of East Brunswick. We have the experience and compassion needed to help you look and feel your best. Whether you need one tooth restored or replaced with a beautiful dental implant or you need more than a few replacements, we will be there to make the process as simple and beneficial as possible. 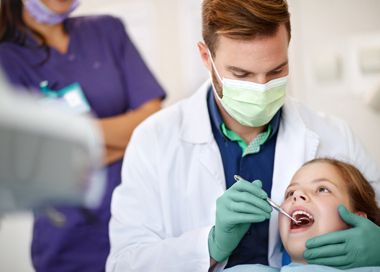 If you need sedation in order to be able to handle your procedures, we also offer a wide range of sedation dentistry services, as well as the standard dental health services like teeth cleanings, x-rays, sealants, and periodontal disease and migraine treatments. We want you to feel like yourself again. With dental implants from The Dental Group of East Brunswick, you will be able to smile, speak, and eat with confidence and without feeling embarrassed. Contact us today. While many dentists offer dental implants, not all of them offer the same quality of treatment as Dr. Nahel Yanni at The Dental Group Of East Brunswick. Read on to learn about some of the ways we make your treatment more comfortable. If you know that you need some form of dental implant or you would like to find out if you would be a good candidate for a full or partial arch replacement, call us to learn more or to schedule an appointment. Sedation options can mean the difference between comfort and discomfort. 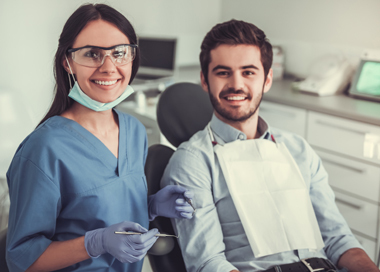 At our office, we have years of experience helping our customers overcome long procedures and dental anxiety through the use of safe sedation. At our office, we will never try to talk you into anything that you don’t need. If a few crowns are what your smile needs, we will never “upsell” you on a different kind of implant. When you leave our office, we want you to be happy with your smile and happy knowing that we only did what was necessary to get your teeth where they needed to be. Our patients agree, in addition to the results you see, the way that we care for our patients is what sets us apart from other dental offices. From our front desk staff to our hygienists to our dentist, all of us are here to help. If you think that dental implants would improve your oral health and your overall happiness, contact Dr. Nahel Yanni at The Dental Group of East Brunswick today.